Approximately 45 percent of cancers in men and 40 percent of cancers in women could be prevented by living a healthier lifestyle, a report from the Cancer Research UK concludes. The study found that four lifestyle choices contribute to over 100,000 cancers per year in Britain, which also mirrors cancer causes in countries like the United States. 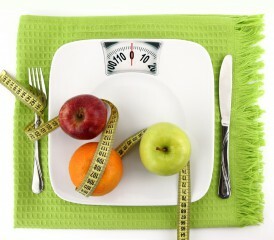 These factors include smoking, alcohol consumption, being overweight and maintaining an unhealthy diet. These lifestyle choices, in addition to workplace and environmental factors, account for the causes of a large portion of cancers in humans. One in 25 cancers in the UK was linked to occupational exposure to chemicals and asbestos. These incidences can range from a toxic chemical spill to gradual asbestos exposure while working in a factory or industrial settings. Diseases commonly associated with asbestos exposure include lung cancer, mesothelioma and asbestosis. Mesothelioma is a cancer that develops in the lining of the lungs. Around 2,500 people per year in the U.S. are diagnosed with mesothelioma. When environmental factors are considered in addition to the lifestyle choices, the 100,000 cancer estimate rises approximately to 134,000. The culmination of these two sets of factors attribute to a number of cancers that can clearly be reduced, some by simple changes daily choices. The report further stated that 34 percent of cancers in the UK in 2010 were connected directly to people’s diet, excess weight, alcohol consumption and smoking, equating to about 106,845 cancer cases. These areas become important factors of discussion because each of these issues is within the control of the individual, at some degree. Smoking, for example, is a habit that has long been understood as a deadly decision, clearly linked to over 80 percent of all lung cancer cases in the U.S. The study concludes that 23 percent of cancers in British men and almost 16 percent of cancers in British women can be attributed to smoking, because it causes bladder, kidney, pancreatic and cervical cancer, in addition to lung cancer. As multiple free public and private resources are available to help smokers quit in both the UK and the U.S., the number of smoking-related cancers hasn’t declined as much as some would think. We can connect you with a top cancer specialist who can give you tips for improving your overall health. In addition to quitting smoking, a proper diet and regular exercise can also improve your overall health and reduce your likelihood of obesity. This has been well known for decades, yet some continue to not exercise and maintain poor diets. Eating a well-balanced diet will drastically improve your health. The Cancer Research UK report noted that 6.1 percent of UK cancers were associated with a lack of consumption of vegetables and fruits. By avoiding processed and junk foods and eating healthier alternatives like fruits, these staggering cancer figures could be improved. The levels alcohol consumption has been a topic of much debate for years now. Drinking rates in the UK and the U.S. differ, but the effect on the body doesn’t change from nation to nation. It is evident by research that excessive consumption can be detrimental to your health, especially to organs like your liver, and therefore should be avoided. With 4 percent of cancers associated with exposure to chemicals and asbestos in workplace, a tremendous opportunity exists to reduce these cancers. Occupational hazards can often be minimized by proper training, proper equipment and by having the appropriate policies in place. Furthermore, proper removal of asbestos, known as asbestos abatement, can reduce the chances of dangerous exposure. Researchers have long known about the latency periods of asbestos-related diseases. For example, most cases of mesothelioma develop 20 to 50 years after asbestos exposure occurs. Proactively taking action and adjusting certain lifestyle choices can make a tangible difference in your life. You can’t reduce your chances of cancer unless you understand what causes them. With conclusive results from the Cancer Research UK report demonstrating the causes of some cancers, you can more easily make better decisions to improve your life. One of the less apparent conclusions from the study is the fact that real similarities exist between cancer rates and causes in the United States and the United Kingdom. The same lifestyle choices that plague individuals in the UK are the same ones that keep our cancer rates high in the United States. Incremental changes in your diet and regular exercise, in addition to reducing your smoking and alcohol consumption, may go a long way in improving your overall health, and more importantly, reducing your chances of developing cancer.